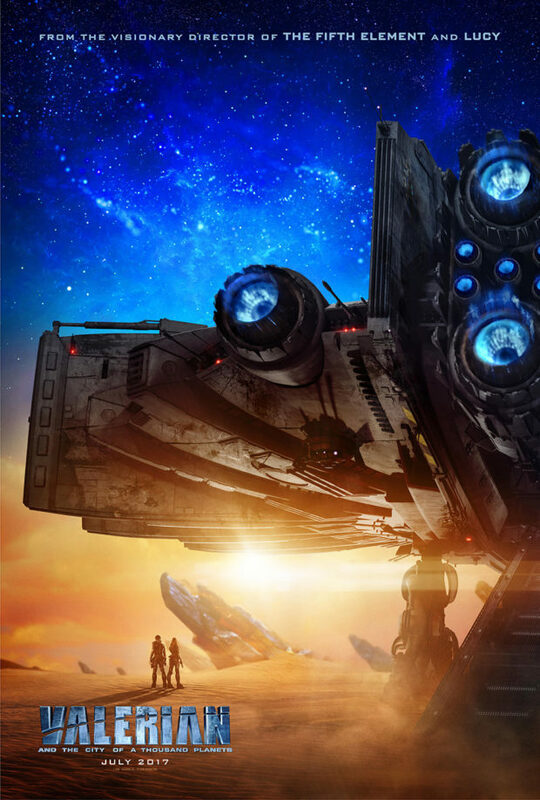 Having just watched this trailer for Luc Besson’s new sci-fi film Valerian and the City of a Thousand Planets, all I can say is “wow.” I think that most fans of The Fifth Element and Leon: The Professional director’s latest effort will be blown away by this trailer. It looks insane, packed with incredible visuals, strange creatures, and Besson’s trademark sense of humor. Valerian (DeHaan) and Laureline (Delevingne) are special operatives for the government of the human territories charged with maintaining order throughout the universe. Valerian has more in mind than a professional relationship with his partner — blatantly chasing after her with propositions of romance. But his extensive history with women, and her traditional values, drive Laureline to continuously rebuff him. The film is based on a French comic book series written by Pierre Christin with art by Jean-Claude Mézières. Obviously Besson was inspired and it shows. It sure looks like has created something epic, immersive, and awesome, and I’m pumped to see this movie when it arrives next Summer.